You will find the best family friendly beach resorts in the Caribbean are awesome spots for kids and teenagers to enjoy. These holiday spots offer amazing activities and attrations; all inclusive, water park, villas, sailing, golf, and private small island resorts that are ideal for fun in the Caribbean. The island of Jamaica is one of the most popular family vacation spots for kids, teenagers and adults. Ocho Rios is amongst the leading vacation destinations in Jamaica for family visitors. This destination is located on the north coast of the island. One of the main attractions you will find in Ocho Rios for families with teenagers is the Dunn’s River Falls. This is one of the most beautiful waterfalls in the world which allows you and your kids to have fun while climbing the waterfalls. Moreover, the Mystic Mountain Adventure Park at the destination allows you to enjoy bobsled rides, SkyEplorer canopy zip line, and mystic water slide. These are all great activities for teenagers and adult family members to participate in. Other Jamaica family friendly attractions you will find in Ocho Rios includes Dolphins Cove, Grotto Cave, and Chukka Adventure Tours. Family members will get the opportunity to interact with dolphins, go on different Safari Tours and visit a cave to learn about Jamaica’s indigenous ancestors. 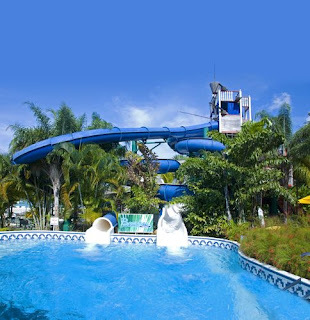 In addition, this Caribbean vacation spot has a number of quality resorts including those with water park attractions and are all inclusive resorts which will provide some really exciting activities for you and your kids to have a wonderful family vacation in Jamaica. This a concise selection of quality Caribbean family friendly resorts for you to explore and book. The island of Barbados is another unique Caribbean kids friendly vacation spot. One of the first benefit of Barbados your kids with absolutely love is viewing the island scenic coast from a birds-eye-view. It is one of the most beautiful Caribbean islands from above. The country is a spot where family with kids will love playing on the various beaches building sand castles, play beach volleyball and soccer. Moreover, the Barbados offers some exciting submarine tours where kids, teenagers and adult visitors will get the opportunity to view some of the island rich marine attractions on the island’s waters. On the island itself, there is the Harrison’s Cave, which is one of the major attractions on in Barbados is a place that must be visited by all family visitors. This attraction is a really Barbados family friendly attractions that kids and teenagers will relish the opportunity to enjoy. Another aspect of Barbados family vacation activities that you will find really exciting the opportunity to participate in different water sports activities. The island is one of the top spots in the Caribbean family surfing vacation for teenager members to get surfing exposure. There are quality locations on the island south coast for family surfers who are just learning to surf. Moreover, there are other wonderful Barbados water sports activities that family members will love include windsurfing, snorkeling, swimming with turtles and scuba diving. Additionally, the island has many excellent resorts, especially on the western and southern coast of the island that are excellent for a family friendly Caribbean vacation. Dominica is situated between the two French Caribbean islands of Martinique and Guadeloupe. It is one of the vacation spot with many family friendly activities you must choose if you want to go family camping on a Caribbean island. More than sixty percent of the island is covered by natural vegetation and the island has over 365 small rivers. One of the things families will lovely about Dominica is that there are no poisonous animals in its rainforest. This therefore means that families can have their camping vacation in the island without any fear of their loved ones have been hurt by any dangerous creatures. Dominica has many waterfalls, boiling lake, and many great hiking trails that are just waiting for family member to enjoy. Another interesting aspect of Dominica family vacation members will love is the opportunity to learn and interact with the island's indigenous people. The Caribs are part of the few indigenous inhabitant of the Caribbean region today. Another fascinating aspect of Dominica family friendly vacation option is the opportunity for you and your kids to go whale watching in the island’s waters. Dominica is the top Caribbean island for whale watching adventures. Although the island may not have the large resort as the other two islands mentioned, there are most lovely lodges, small resorts and cottages on the island that will ensure that you have excellent accommodation on the island for your family friendly Caribbean vacation. Another of the best Caribbean destinations for a family friendly vacation is the island of St. Lucia. This is a country that is located south of the French island of Martinique and north of St. Vincent and the Grenadines. St. Lucia provides family visitors with the opportunity to visit Martinique where there are great opportunities to snorkeling and scuba diving. The country is also located close to the different Grenadines Islands which will allow your family to go island hopping in the Grenadines by air. These adventures will create some amazing memories for you and your loved ones because of the great attractions in these islands. The country of St. Lucia itself has some amazing family attractions. Two of these are the fabulous family vacation attractions are Pitons Mountains and the Sulphur Spring Drive in Volcano. Moreover, there is the Treetop Adventure Park which offers the exciting opportunities for Zipline rides through the island’s rainforest. In addition, you will find that there are excellent all inclusive St. Lucia resorts that are really exciting for family members will really enjoy themselves. Also, going on an island tours of St. Lucia is another fun family vacation activities that all members of your family will absolutely enjoy. The Cayman Islands is a Caribbean family friendly vacation spot for visitors who are in searching for some wonderful water sports adventures and marine attractions will enjoy. One of the top attractions on the island is the Seven Miles Beach Grand Cayman. This is a location where you will find many lovely resorts that will give you access to snorkelling, sailing, windsurfing and scuba diving adventures. Your children will get the opportunity to learn many interesting lessons of the different marine resources found in the destination waters. Moreover, the Cayman Islands has an annual summer program where many of the top resorts in Grand Cayman offers attractive discounted family vacation packages for families enjoy themselves on their Caribbean Vacation. You will also find that there are many lovely villas and rental home in Grand Cayman which will allow you to create a home away from home on your vacation to the island. There are also lovely opportunity to play tennis and golf at some specific locations on the island as well. Another aspect of Cayman Islands family friendly vacation offer you will love is the all inclusive vacation resorts you can choose.